Rye Brook, NY, 4/25/2014 – Okun Orthodontics, Rye Brook, NY based in the healthcare industry, has announced the company's energy commitment to 100% renewable energy by purchasing all its company energy needs from a green energy supplier. This long-term commitment by Okun Orthodontics is a conscious effort to remover over 160,000 lbs of carbon emissions from the environment and to show continuous support for green energy through the country. Okun Orthodontics has chosen to purchase its renewable energy credits (RECs) from American Power & Gas LLC that includes sources like wind and hydroelectric energy in North America. Okun Orthodontics, one of the first in its area to purchase non-emitting renewable energy, encourages other medical and dental offices to also choose Green Energy. "Our commitment to renewable energy is reflective of our passion for innovation and the environment. We're helping with the choice of renewable energy and ultimately will benefit the neighbourhood and ease the pollution in this country," said Dr. Judith Okun. "There is a sense of urgency now to help the environment and as a reflection of our company values, we made the choice to go green and limit our use of fossil fuels. Okun Orthodontics remains focused on identifying other ways to build the energy efficiency of our operations, promote the benefits of green energy, and to help our customers understand how they too can help the environment. 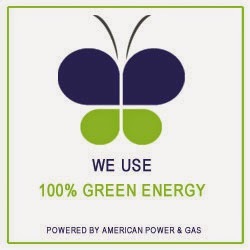 "We congratulate Okun Orthodontics for using 100 percent renewable energy and taking an active position on the environment," said Jim Bridgeforth, American Power &Gas. "This green power commitment of Okun Orthodontics helps reduce carbon emissions and provides an excellent example for other organizations." Okun Orthodontics believes it is important to stand out and be publically committed to be green and environmentally conscious. The green culture is something that everyone needs to embrace. We want to encourage all employers, vendors and partners to go green. 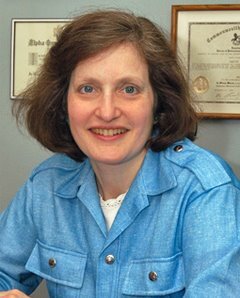 “We have been working constantly over the years to improve our products and services and we think that the green campaign needs to be part of our company culture,” said Dr. Judith Okun, of Okun Orthodontics, Rye Brook, NY.